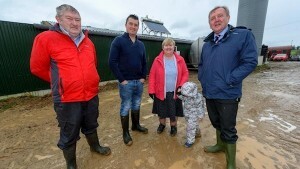 Agriculture Minister Michael Creed has announced grant aid for solar panels and LED lighting on all farms. The grants will be available through the TAMS on-farm investment scheme. Why have these been added to the TAMS scheme? Minister Creed said a comprehensive review of the investment items available under TAMS has been carried out by his Department. The review factored in the latest available technologies to further drive energy efficiency at farm level and reduce electricity use on farms. “This is part of the wider drive to position Irish agriculture as a global leader in sustainability and these investments will further enhance those credentials”. The Minister added “I have listened to Irish farmers on this issue, and their enthusiasm to invest in on-farm renewable technologies. “I am pleased to be responding with these new grants. The TAMS scheme is already a significant investor in improving energy efficiency on Irish farms and we keep the scheme under constant review”. “Any new and emerging technologies will continue to be monitored with a view to their inclusion in future, if feasible”. How do solar panels and LED lighting drive energy efficiency and reduce electricity use on farms? The newly announced farm grants are for solar panels that produce electricity, known as solar photovoltaic (PV) modules, and for LED lighting. According to Sustainable Energy Authority of Ireland, solar PV panels generate renewable electricity, reducing the electricity you currently purchase from your supplier. The SEAI says solar PV systems are simple to install (typically within a single day for the existing grant scheme for solar PV panels on dwelling houses). According to the Department of Agriculture, LED (light emitting diode) lighting uses a fraction of the electricity consumed by conventional lighting. The current specifications for the TAMS II scheme include lighting in all new farm structures. In future, only LED lighting will be grant aided. How much funding is available for the solar panels? 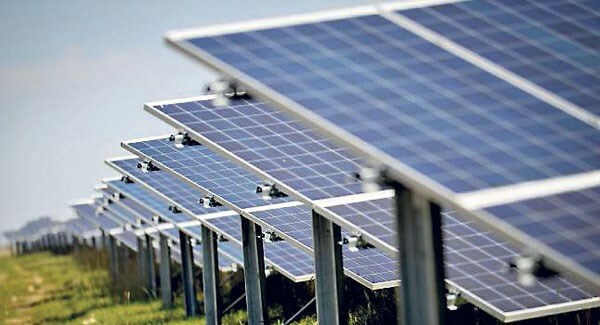 The new measure will make €10m worth of grants available for the solar panels and LED lighting energy efficiencies and renewable energy technologies. Grant aid in this initial pilot phase of up to €9,300 or up to 60% of the overall cost will be available to fund a 6kWp solar system. The economics for solar PV work best when all of the electricity generated is used on the farm. Energy generated will solely be for agricultural use on the farm. A solar PV system size for a dairy farm of approximately 5.5kWp (kilowatt ‘peak’), combined with 4.5kWh (kilowatt hour) of battery storage capacity, is envisaged. Grant aid in this initial pilot phase will be to fund a 6kWp solar system. Costs are based on the cost of installation of a 6kWp solar system; this includes a battery which is necessary to capture the energy output, thereby making it economically viable. At this maximum size, the grant provided at the 40% TAMS II rate would be €6,200, and at 60%, it would be €9,300. The new grants will be available for farmers in the next tranche of TAMS, opening April 5 next. 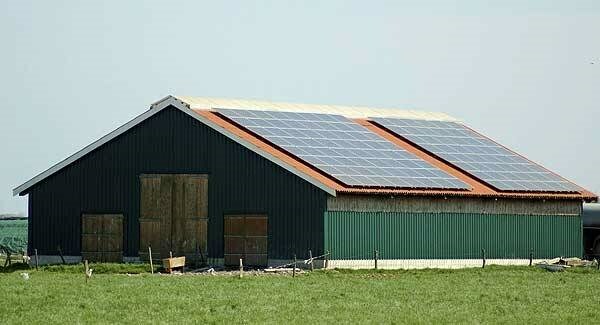 Are the solar panel grants available for all farms? Yes, the latest announcement extends to all farms the current TAMS grants for solar panels permanently attached to buildings used for pig, poultry, or egg production to all farming sectors. It is the Targeted Agricultural Modernisation Scheme which provides grant aid for a number of farm investments. The allocated budget for TAMS II over the full course of the 2014-2020 Rural Development Programme is €395m. The budget for 2019 is €70m. There are seven measures for on-farm investments available under the TAMS scheme, which opens for applications in rolling three-month tranches. It includes a number of other grant categories specifically aimed at improving energy efficiency in the farming sector. Examples of the grant-aided items include plate coolers, heat transfer units and internal ice builders for the dairy sector. The TAMS II Pigs and Poultry Scheme and the TAMS II Young Farmer Capital Investment Scheme provide grant aid for biomass boilers, electrical heat pads, energy efficient LED lighting, indirect heating systems, solar panels for water heating and electricity production, ventilation fans and control systems, insulation for doors, roofs and walls, air source heat pumps and heat recovery units.